Baby Hoe. Ideal for light narrow trenching. 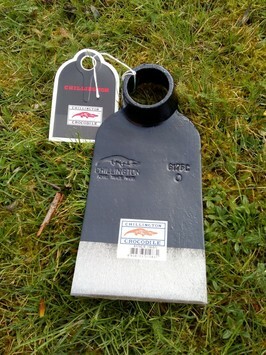 This item requires a H4 handle - standard length 47" Longer length handle also available order H4L 55"
Chillington Tools offers you the ultimate in Baby Hoe (Head Only)s as well as a full range of other Digging Hoes & Handles available online.